Provide comfort for the family of Elena Damasco with a meaningful gesture of sympathy. Elena Damasco, 87, of Jay Street, Amsterdam, NY; passed away Wednesday afternoon, February 20, 2019 at St. Mary’s Healthcare, with her loving family by her side. Born in Torre Le Nocelle, Italy on December 12, 1931, she was the daughter of the late Antonio and Giula Luongo. She was the former proprietor of City Pizza in the Riverfront Center in Amsterdam. Elena was a parishioner and communicant of St. Mary’s Church in Amsterdam. Elena was married to Michael Damasco on January 11, 1965; He passed away April 3, 2006. Elena is survived by her son, Palmiro Damasco (Rhina E.) of Amsterdam and two grandchildren, Robert and Sarah. Many nieces, nephews and cousins also survive. Elena was also predeceased by five brothers and three sisters. Funeral services will be held Saturday, February 23, 2019 at 10:45 at the Riley Mortuary, Inc., 110 Division Street, Amsterdam, NY 12010, followed at 11:15, by a Mass of Christian Burial, which will be celebrated at St. Mary’s Church, 156 East Main Street, Amsterdam, NY; with Rev. Jeffrey L’Arche, M.S. officiating. Interment will follow at Fairview Cemetery in Amsterdam. Calling hours are this evening, Friday from 4 to 7 p.m. at the Riley Mortuary, Inc. A prayer service, with pastor Dennis Burke will be held at 6:30. 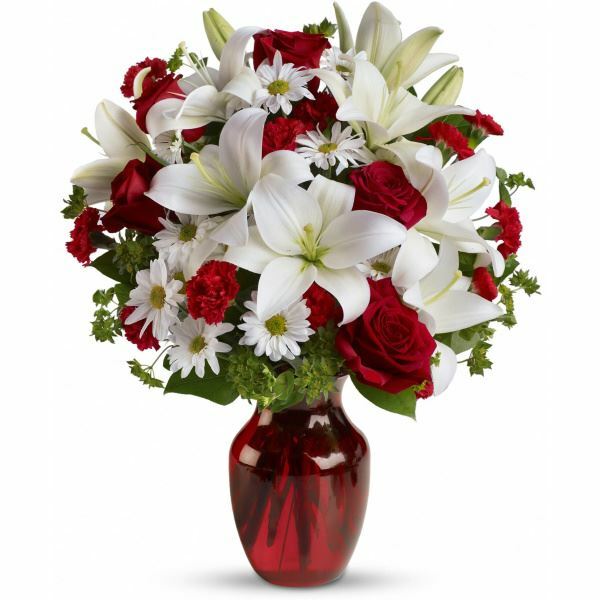 To send flowers in memory of Elena Damasco (Luongo), please visit our Heartfelt Sympathies Store. We encourage you to share your most beloved memories of Elena here, so that the family and other loved ones can always see it. You can upload cherished photographs, or share your favorite stories, and can even comment on those shared by others. Vitina Ruffino-Mosher sent flowers to the family of Elena Damasco (Luongo). Vitina Ruffino-Mosher purchased flowers for the family of Elena Damasco.